Contemporary Modern Birdhouses. The best house for birds with a taste for modern architecture! Your backyard birds are ready to move in their modern architectural bird house! These modernist bird houses provide stylish shelter for birds, while providing a nice accent in your garden. 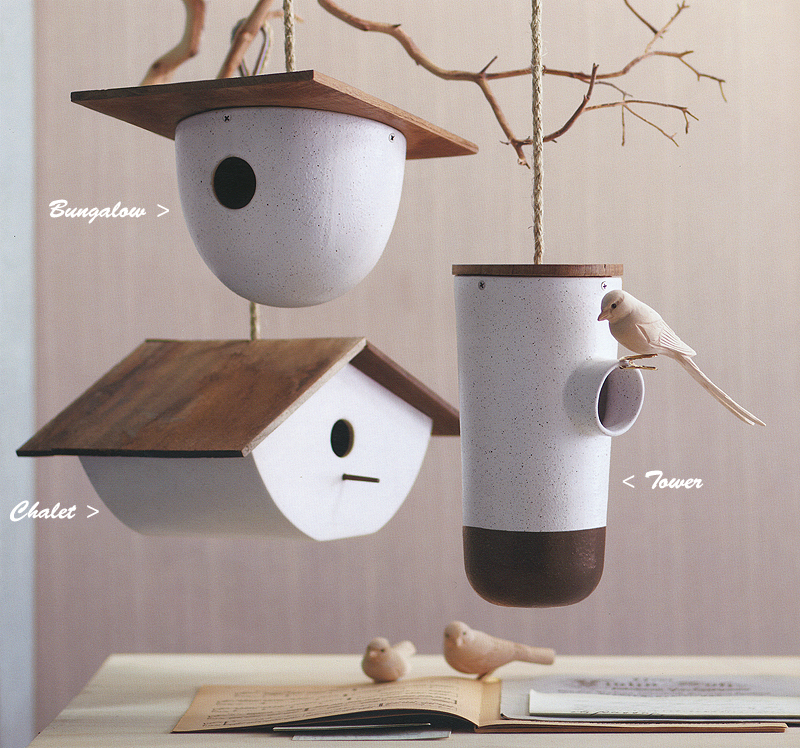 These beautiful modern bird houses are crafted with matte-glazed earthenware and are topped by recycled teak wooden roofs. These modern birdhouses are suspended from rope and have stainless steel hardware.